Happy birthday to brian who's 70 today!! 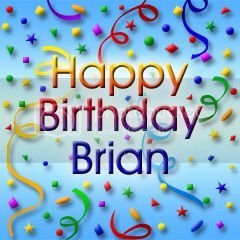 Happy birthday, Brian, and welcome to the Septuagenarians club! Happy birthday, Brian! You're the same age as Jack and Ennis would be. Thanks Front-Ranger, Cally, Sason and southendmd, also Chuck on his blog. I usually keep my birthday quiet but opened my big mouth this time being 70. I have always known I was the same age as the boys, an extra reason for BBM having such an effect on me. It is also St Patrick's Day which means everyone remembers my birthday but I have trouble remembering theirs. I have no Irish blood. My big sister who apparently thought up my name says it is just a coincidence. I have just picked up 2 dozen cupcakes ordered by my sister from Australia and will be inviting my walking group back to my place after our walk tomorrow for afternoon tea. Over on the Liberace Candelabra thread I have recently posted how as a young teacher I regularly fell in love with my 16-17 yr old students. I never did anything improper but did take them on surfing trips. I described how in later years I have come out to them and they were not surprised and certainly not angry. One, Graham, has always called me Big Brother. He is now a primary school principal, happily married (I was his bestman) for well over 30 years , 4 children several grandchildren. You are 12 years older than me ...... and always on St Patrick's Day. I only have fond memories of you. You taught me an awful lot about life. I'm not the only one who feels that. There are many. That's why you were a topic of conversation when Pat C... and Claire S.... came down to visit Mercy. 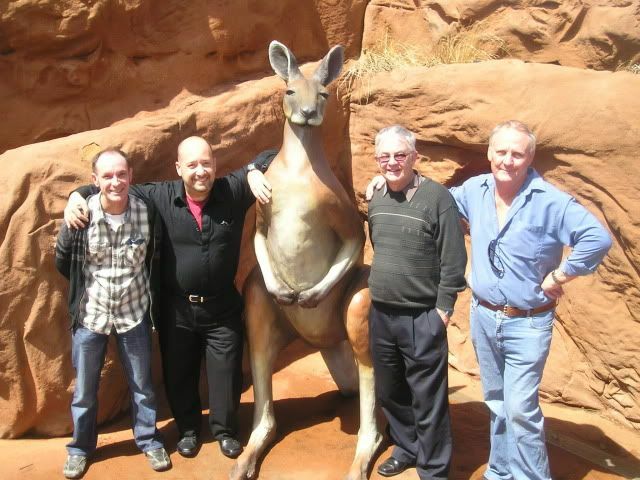 The trip to N.Z. was something very special. I was also lucky enough to go to Perth (via Bells and half the continent) with Noosa and Byron thrown in for good measure. I drove a Moke all over the place. I got drunk with you. I discussed "stuff" with you, that I could not talk about with parents or family. You looked after me and kept me out of trouble on so many occasions. I have so many beautiful memories that are all down to you. You are a wonderfully kind and thoughtful person. It is a great honour for me to call you my friend. but know that I truly love you mate. and hope there are many, many more. What a lovely birthday present, to get such a heartfelt card. What a moving note from your former student! It brought tears to my eyes!